Donald Trump was accused of violating the Constitution's "emoluments" clause that bars officials from accepting gifts from foreign governments. Donald Trump's legal team tried to have the case tossed out but a judge in Maryland let it proceed. 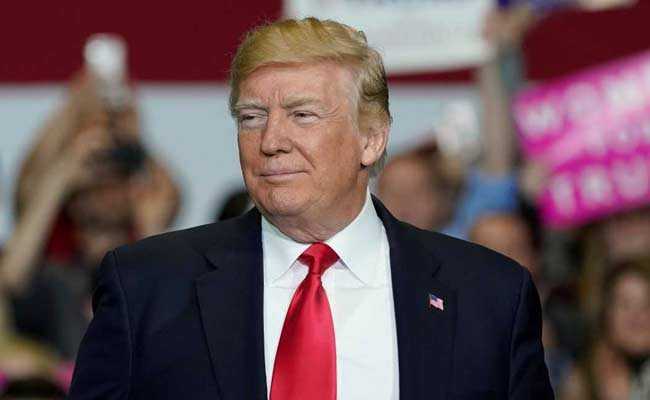 President Donald Trump has again asked a U.S. court to dismiss a suit accusing him of flouting constitutional safeguards against corruption by refusing to separate himself from his business empire while in office, claiming "absolute immunity." The lawsuit, filed by the state of Maryland and the District of Columbia, accused Trump of violating the U.S. Constitution's "emoluments" clause that bars U.S. officials from accepting gifts or other payments from foreign governments without congressional approval. The same clause also bars the president from receiving gifts and payments from individual states. "If Plaintiffs want to sue the President for acts taken while in office, they must sue him in official capacity. But he is absolutely immune from any suit, including this one, seeking to impose individual liability premised on his assumption of the Presidency itself,"Trump's lawyer William Consovoy wrote in a court filing on Tuesday. "The Supreme Court has concluded that the costs to the Nation of allowing such suits to distract the President from his official duties outweigh any countervailing interests. That choice must be respected," Consovoy added. Trump's legal team previously sought to have the case tossed out but U.S. District Judge Peter Messitte in Greenbelt, Maryland, last month let it proceed even as he narrowed the claims only to those related to Trump's hotel in downtown Washington. Maryland Attorney General Brian Frosh and District of Columbia Attorney General Karl Racine, both Democrats, argued in their suit, filed last June, that local residents were harmed by unfair competition by Trump's hotel and other businesses. Lawyers for the Republican president previously argued that such harm was speculative and difficult to link directly to Trump. Frosh and Racine have indicated they will seek numerous documents related to Trump, including his tax returns.Trump has bucked precedent by not releasing his tax returns during his 2016 presidential campaign or as president.